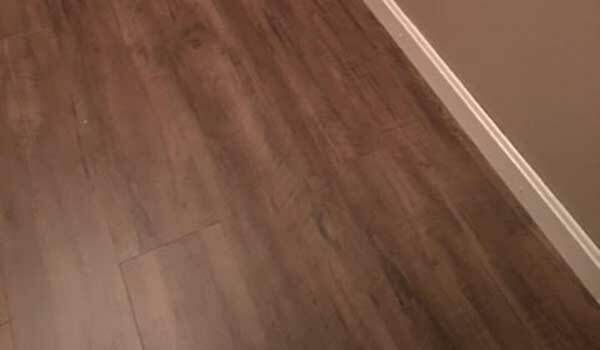 Description - USFloors COREtec Plus 7 engineered vinyl planks are highly durable medium width luxury vinyl flooring planks that are sure to stand up to the test of time. 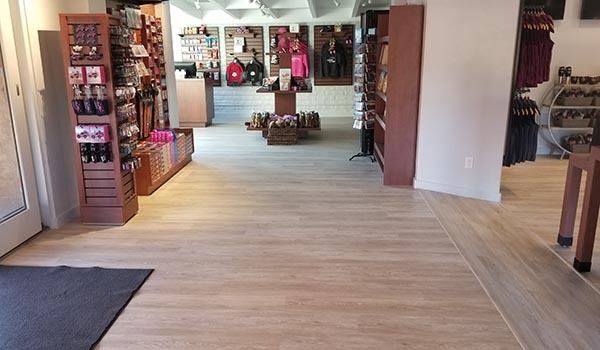 This Engineered Vinyl flooring has been specially designed to be durable enough for commercial uses such as office buildings, libraries, and many more high traffic areas that need a strong flooring solution, but are also beautiful enough for use in the home on any level. 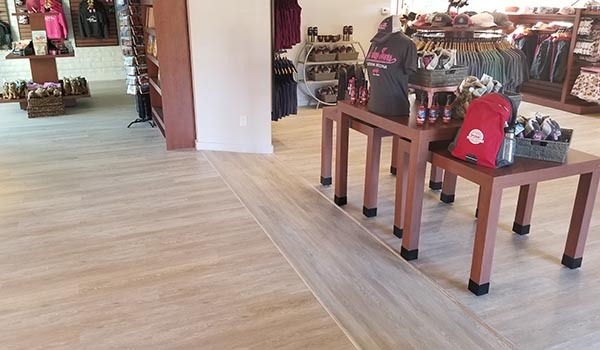 Utilizing multi-layer construction and virgin vinyl materials, these luxury vinyl planks are resistant to water, mold and mildew, making them the perfect flooring solution for any room in your home. The patent-pending waterproof inert core layer, known as Hydracore, is created using bamboo dust, limestone, recycled wood and virgin PVC, providing for an impermeable plank that will never swell, even if submerged in water. Backed by a lifetime warranty, COREtec Plus 7 luxury vinyl floor planks also have a built in cork underlayment for added sound reduction and reduced temperature transmission. Note: Saginaw Oak, Hudson Valley Oak, Alabaster Oak, and Blackstone Oak are high variation products. We recommend for the high variation floors that you “loose lay” it before installation to get it to a point where it is appealing to the eye. 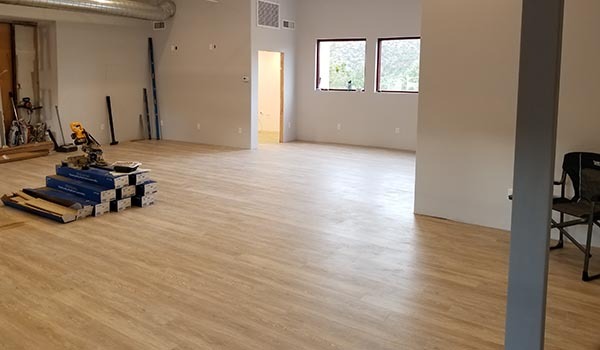 Size – COREtec Plus 7 Engineered Vinyl Planks are 7-1/8" x 48". Weight – 7-1/8" wide planks weigh 3.25 Lbs each. 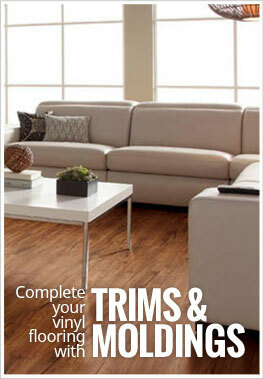 Recommended Uses – USFloors COREtec Plus 7 vinyl planks have been built to last with a lifetime warranty. 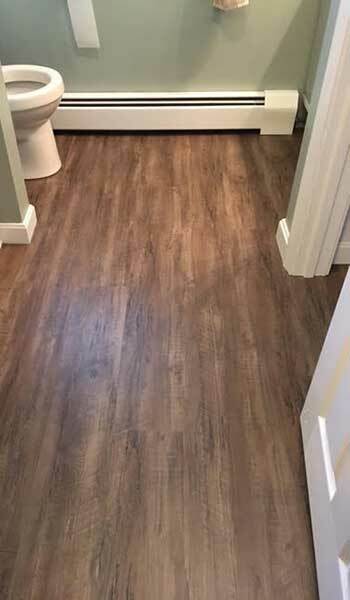 These engineered vinyl planks have been successfully used in commercial as well as residential use and are the perfect waterproof vinyl floor for kitchens, bathrooms, dining rooms, living rooms, basements, laundry rooms, bedrooms, rooms, dens, office buildings and many other rooms of the home or business. Planks may be cut with the use of a crosscut power saw. 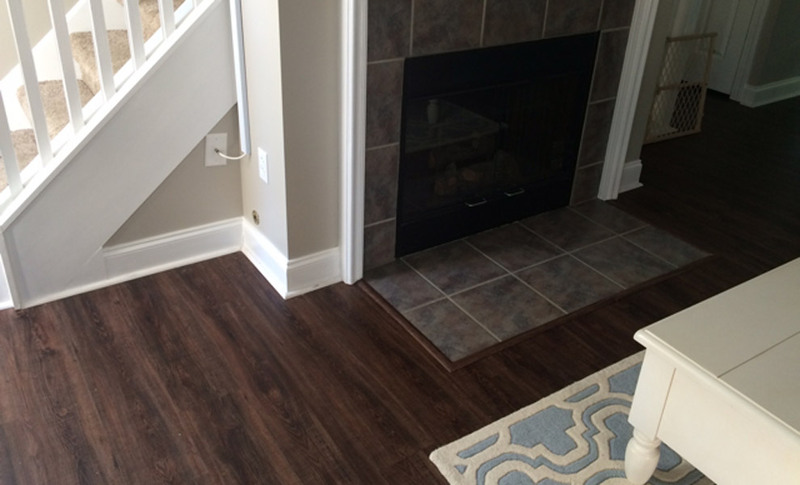 Much easier to clean and maintain than traditional hardwood flooring. COREtec Plus 7” planks are 7” wide by 48” long. 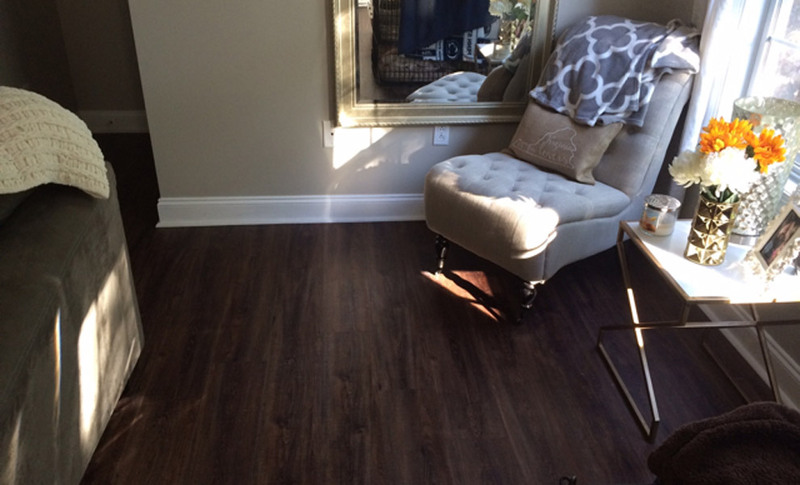 These engineered luxury vinyl planks provide a stunning and rustic look to any space in need of some reclaimed charm. The wide width planks help to make a room seem less busy, while giving the desired look and feel of traditional hardwood flooring. can you use a Shark steam cleaner to clean CoreTec floors? The manufacturer recommends the use of a damp mop as needed using clean water. An occasional steam cleaning should be fine to super clean your floors. 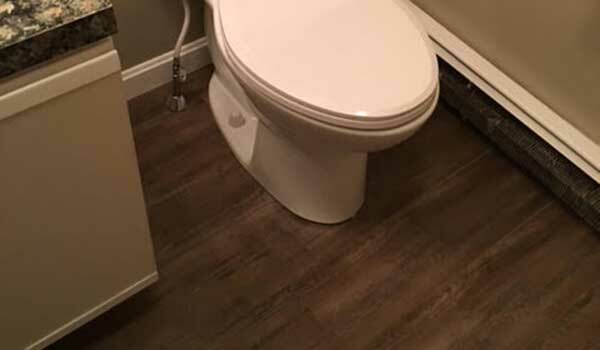 If using cortex vinyl plank in a bathroom, can pee penetrate seams and cause odor. Love the color but have men who miss! While the seams are tight, but it would be a good idea to put down a bath rug that does not have a rubber backing to help with the situation. Just had 7" plank Coretec installed and am confused by what rugs/carpets can be used. We were advised to use a rug pad. We purchased a rug pad from Lowes that states that it protects floors from staining. It is made out of 30% PVC, 26% Calcium Carbonate, 32% Diilsononyl Phthalate and 12% Polyester. Is this OK to use? You should be fine as long as it says it is non-staining and not made of rubber. Yes, you would want to glue the floors underneath heavy items like a vanity cabinet. Please see detailed installation instructions for further information. 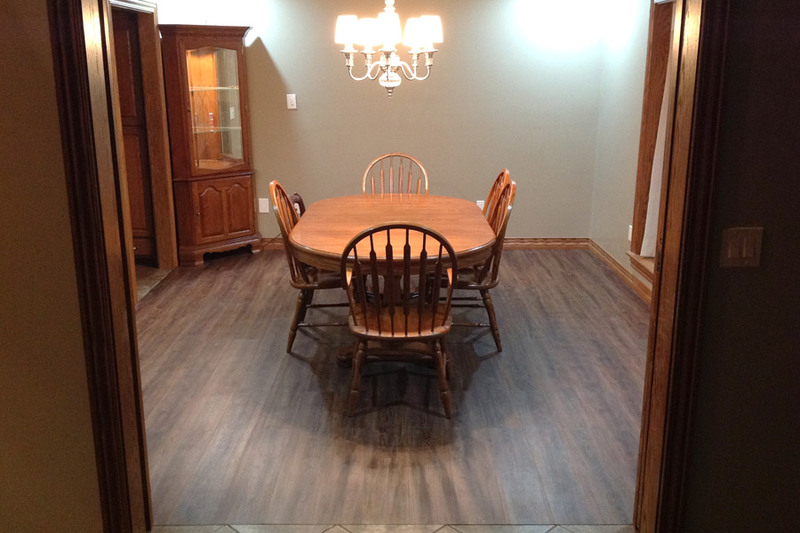 I recently purchased 700 square feet of USFloors COREtec Plus 7 inch plank in the Olympic Pine Style. I had spend a month searching the internet to find a waterproof and scratch resistant floor that looked real. I was recommended COREtec from a friend and tried to do some research but could not find much. I took the risk and trusted in my friends recommendations and I am very happy to say this is a GREAT product for a great price. 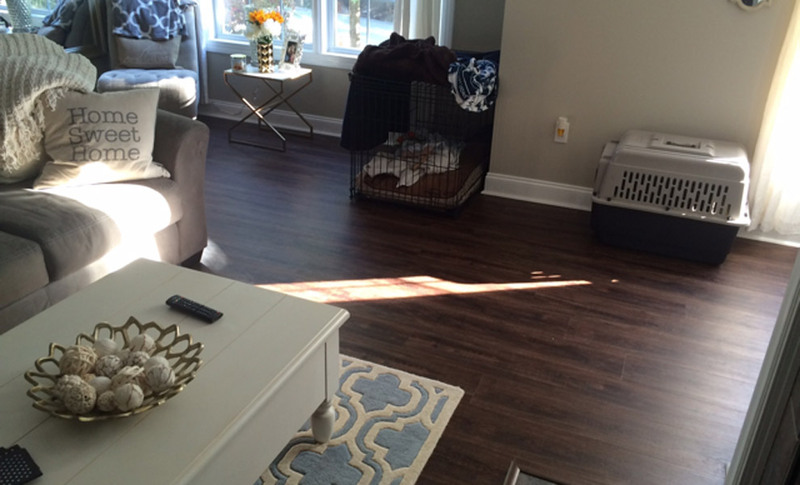 We installed this floor as we were renovating the rest of our first floor and were extremely surprised to see has resilient this flooring was. Anything that was spilt of the floor was VERY easy to clean up. During our renovation we had spilt paint and mortar on the floor several times and would clean up like nothing was ever there. Also moving furniture in and appliances around had no effect on the floor and I doubt that any normal house hold activity could cause a scratch on this floor. The flooring is also thicker then many other brands so you do not get bumpy or wavy floor from minor flooring imperfections. I have installed several vinyl floors in the past and all of them have a very artificial feel but not COREtec. Overall, I can not recommend the product enough. 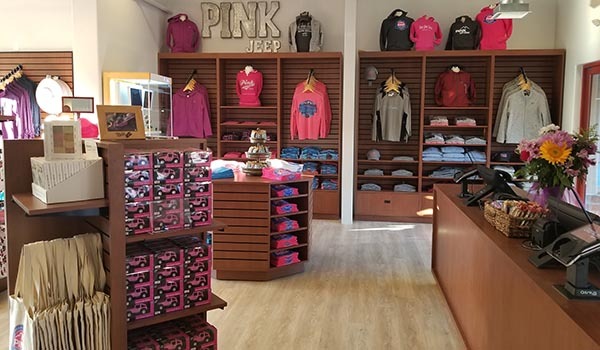 I would not look anywhere else if I ever need to do a flooring project in the future. COREtec has a great product for an unbeatable price. Other flooring types like Karndean are extremely expensive and provide about the same quality from what I have seen. The COREtec Plus 7 installed easily and looks great! I placed it in 2 bathrooms directly over existing ceramic tile. I ordered 6 samples and went with St. Andrews Oak. It looks and feels exactly like hardwood! Here's a couple of pics of my new floor. I love it!! I highly recommend your product! Thanks, Art.